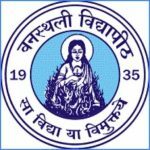 UKSEE Advanced 2019-Uttarakhand Technical University (UTU) which is a state government university will lead the UKSEE Advanced 2019 Entrance Test. The Uttarakhand State Entrance Exam (UKSEE Advanced) is conducted for granting admissions into 1st year M.Tech, MBA & M.Pharm., 1st year-B. Pharm., BHMCT, MCA, MCA 2nd year (Lateral Entry), B. Pharm. 2nd year (Lateral Entry) & B.Tech. 2nd Year (Lateral Entry). Advertisement, Brochure shall be collected form sketch.ac.in. Applications for the entrance exam to be conducted in the 02nd week of May 2019 might be released from the 03rd week of April 2019. The candidates can read in this article about Important dates, Application form; fees amount depending on the category, eligibility criteria in detail, exam pattern, admit card, syllabus, result, online counseling and test centers. The table contains data. It does not confirm any official schedule. Applications for UKSEE Advanced 2019 will be accessible through online mode. UKSEE Advanced 2019 application form can be expected to be out from the 03rd week of April 2019 till 0the 4th week of April 2019. Compete tutors need to submit the filled in online through the sketch.ac.in website. Fill each hand every column carefully and do take a print of the confirmation page. Rs. 1500/ – for General/OBC. The qualification criteria are diverse for various courses. We are mentioning the criteria for hopefuls as per the coveted course available. A) Domicile requirements– the candidate must be a resident of Uttarakhand state. (i) AICTE approved Diploma with min. 45% (40% for reserved category) in the branch of Engineering and Technology. 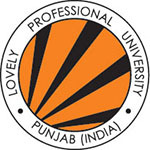 (ii) B.Sc degree from the institute recognized by UGC with the min. 45% (40% for reserved category) and 12th pass with Mathematics subject. (iii) B.Sc stream candidates must have cleared Engineering Graphics / Engineering Drawing and Engineering Mechanics in the First year of Engineering program. (iv) candidates with AICTE approved Diploma shall also be eligible to apply for Engineering Degree courses. (i) 12th pass with Physics and Chemistry as compulsory subjects and along with one out of Mathematics /Biotechnology / Biology. AICTE approved Diploma with 45% marks (40% for reserved category). 12th pass with English studied as a compulsory subject with 45% marks (40% for reserved category). Minimum 50% (45% for reserved category). Recognized UG degree of min. Three years duration with min. 50% (45% for reserved category). CAT/ MAT qualified individuals would be eligible to appear for counseling. Recognized UG degree of min. Three years duration with min. 50% (45% for reserved category) in B.Tech. GATE qualified candidates may come and join the counseling without writing UKSEE Advanced written exam). UKSEE 2019 will be conducted for nine papers. Candidates have to choose papers and subjects to appear in the exam. The complete list of the syllabus for all the 12 papers will be presented in the prospectus of UKSEE Advanced. 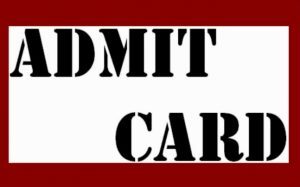 UKSEE Advanced 2019 admit card will be issued at the university website at www.uktech.ac.in w.e.f 01st week of May 2019. Enter your (I) Registration number and (II) Date of Birth in the required spaces. Do not disclose details to the third party. 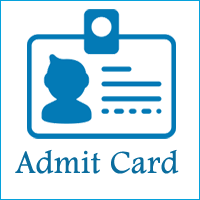 At the exam center carry these following items:- (i) Admit card issued to you (ii) any authorized copy of Photo Id for example- PAN Card/ Passport/ Driving License/ Aadhar Card/ Voter ID. The link will be running on the homepage of the university. Click the link. You will see options to either see the result sheet or Download the scorecard. For checking Result– click the link relevant to your course. A pdf file will appear carrying Roll numbers, Name, Category, Overall Rank, Category rank, and remarks. Print the result page and scorecard for carrying it to document verification venue. 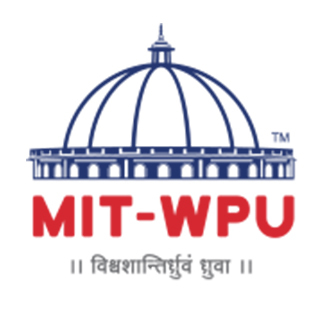 Uttarakhand Technological University will conduct counseling. UKSEE Advanced counseling will be held in ONLINE mode at www.ukcounselling.nic.in. Candidates will have to get registered here and also indicate their choice of course and college. Counseling may commence from 01st week of July 2019. There might be up to 3 phases of advice to cover seats. Pay the counseling fee charges which may be up to Rs. 2000/- via Internet banking/ Credit card/ Debit card. Check the allotted course and college. If you are satisfied with the allotment. Then, reach the college and get documents verified and pay the course fees to confirm the seat. There will be reservation an of 05% for reserved category participants. Except for centers like- Gopeshwar, New Tehri and Pithoragarh where the exam will be conducted only in Offline mode, at other centers, the exam can be conducted in either offline or online mode. For any other queries about UKSEE Advanced 2019, you can leave your queries below in the comment box.